Dr George Taleporos is an adjunct senior research fellow at the Living with Disability Research Centre at La Trobe University and policy manager at the Summer Foundation. He was previously a visiting lecturer in disability and social inclusion at Deakin University and the Manager of the Youth Disability Advocacy Service. He has a PhD in psychology and an Honours degree in Sociology. 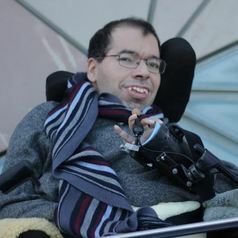 George has 15 years of experience in disability advocacy, youth engagement, and disability service reform. His policy work has covered a range of areas including DHS standards, capacity building through peer support, Individualised Support Packages and the development and implementation of the National Disability Insurance Scheme (NDIS).